I have finally finished The Devil in the White City. In celebration of that, I have made a new reading room for all to enjoy! It has elements that every character would love: Dr. H. H. Holmes (a body trunk), architect Burnham (white furniture), designer Ferris (the wheel, duh) and even landscaper Olmsted (garden spheres)! 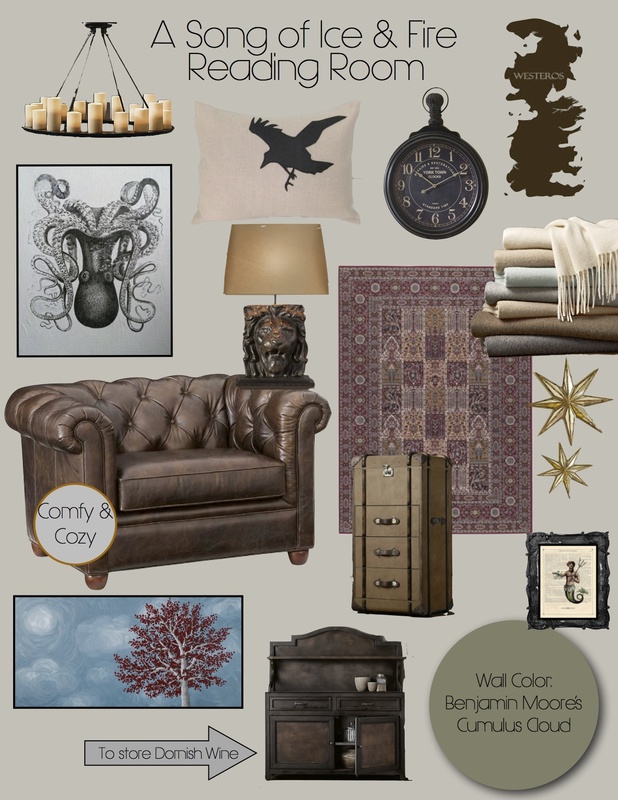 Now let’s cuddle up with a faux fur throw and admire it! Well, I have made it through the first 5 chapters of The Great Gatsby. 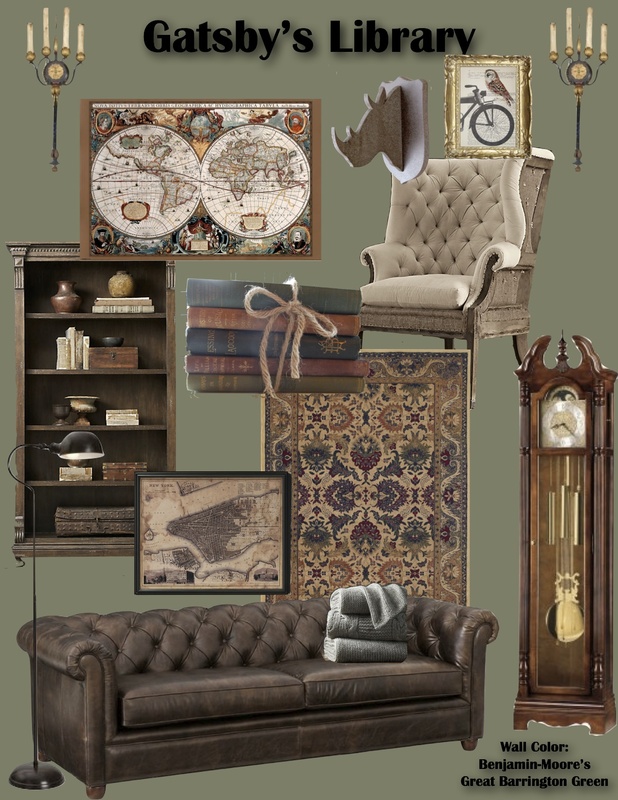 Instead of making a Gatsby inspired reading room, I updated his library; I understand, if we are getting technical, yes, okay, it’s a reading room. Whatever. I would love to sit in this library (with Leonardo DiCaprio as Gatsby) and snuggle and read all day. In addition to my “Read This, Drink That” posts, I got a bit inspired and decided to create an awesome Reading Room based around A Song of Ice and Fire. 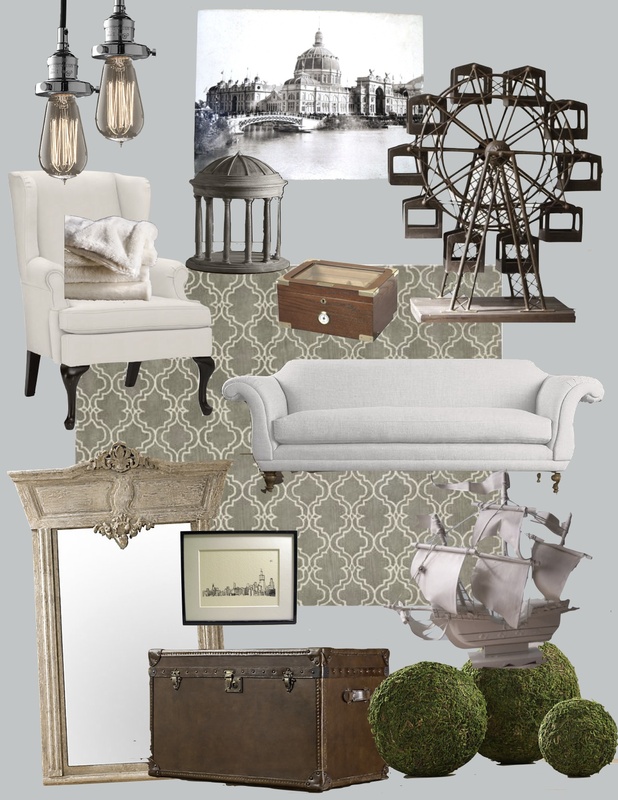 Old world charm and a neutral pallet are perfect for staying in the Westeros mindset.